50 % OFF FAMILY RELATION CAPS!!! THIS IS A CLOSEOUT... 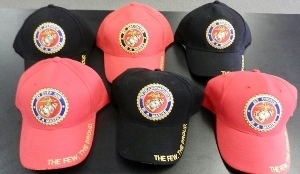 THESE CAPS WILL NOT BE AVAILABLE FOR LONG.� GET THEM WHILE THEY LAST!� Available caps include: Step Son, Sons, Son-in-law, Grandsons, Brother, Brothers, Nephew, Cousin, Daughter, Granddaughter, Sister, and Niece.